New Yorkers no longer have to rely on illegal gambling dens or try to pretend that Yonkers Raceway is a real casino. 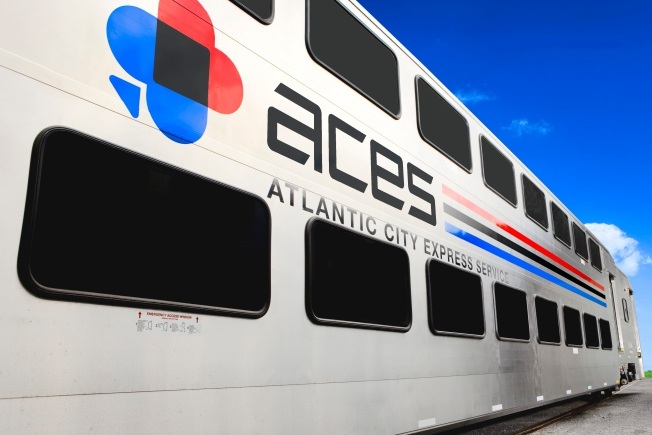 A new rail line, called Atlantic City Express Service (or ACES — oh, that's such a cute name for something taking riders to a den of sin) will shuttle gambling addicts from Penn Station to AC in 2-and-a-half hours chugging-style Friday, Saturday and Sunday. Borgata, Caesars and Harrah's Resort teamed up, pitching in $4.5 million over three years to establish a light rail service to feed their hungry slots. The double-decker cars will also have a caboose lounge that can be rented out. Tickets start at $50 for a one-way coach seat, $75 for first class, and $400 for that swank lounge. Anyway, it beats the bus. Now riders can kick back and visualize card counting or enjoy a cocktail in peace and quiet. And on red-leather seats, no less. The sweet ride previewed Friday and full service begins next weekend. New Jersey Transit will operate the trains and Amtrak will service the ticketing/reservation ends.